Perfect for Cutting Finger Joints, Rabbets, and Grooves! Precision cutting for fine joinery. 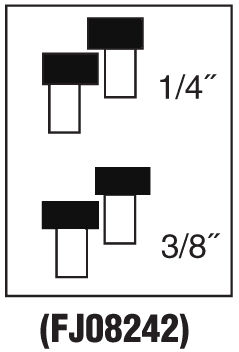 Create quality finger or box joints for joining two pieces of wood at right angles. 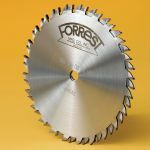 Excellent for cutting rabbets (grooves). Great for doors, casement windows, window frames, accommodating panels in furniture construction, and other woodworking applications. Solid performance. 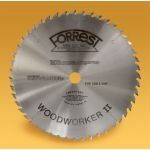 Like all Forrest blades, our 2-Piece & 4-Piece Finger Joint Sets have high-grade carbide tips and are hand straightened. 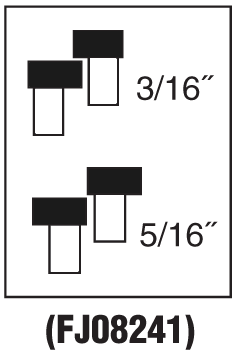 Exceptional perimeter concentricity produces a flat bottom groove. Long life. Our proprietary grinding techniques produce blades that last up to 300% longer between sharpenings. Affordable, state-of-the-art, in-factory sharpening services are available when needed. Choose the #1 OD Woodworkers for cutting flat bottom grooves, finger joints, tenons, or dedicated rip. Dovetail choice too!